WASHINGTON, DC — Lawyers for the National Academy of Sciences have asked a District of Columbia court to dismiss a $10 million defamation suit brought by a Stanford University professor. Mark Jacobson, an engineering professor at Stanford who has published research about the future of renewable energy, alleged he was defamed in a June 2017 article published in the Proceedings of the National Academy of Sciences. In September 2017, Jacobson sued both NAS and the first author of the article for libel in D.C. Superior Court. He also sued NAS for breach of contract. To silence those who disagree with him. But Jacobson’s lawyer denies that the suit qualifies as a SLAPP case, and has asked the court to allow the lawsuit to proceed. Jacobson had proposed that the United States could satisfy its electricity needs using only renewable sources like wind or solar by 2050. The article, Clack’s criticism, and the lawsuit have all garnered significant media attention. For example, our Adam Marcus and Ivan Oransky wrote about Jacobson’s lawsuit for The Verge in November 2017. At a hearing this morning, Judge Elizabeth Wingo heard oral arguments from both sides about the motions to dismiss the case. I don’t think that’s what the anti-SLAPP statute is there to protect. This kind of dialogue is completely normal and should not be threatened. this is exactly why [the anti-SLAPP law] was passed, so we don’t have to take these cases to trial. The defendants are essentially saying they’re being sued for their speech on an issue of public interest and they think this case should not proceed further. Allows them to argue that the court case should be dismissed at a very early stage. Now, Wingo has to decide if Jacobson’s lawsuit will survive, although either side could appeal. She did not issue a decision at the end of the approximately two-hour hearing, saying she wanted to put it in writing. After the hearing, Thaler told Retraction Watch that it would be inappropriate to comment on how he though Wingo would rule. He said that given the importance of the case, he expected the decision document to be lengthy. This isn’t the first time scientists have accused publishers of defamation — in 2015, a judge dismissed a lawsuit filed by Mario Saad against the American Diabetes Association, after the publisher issued four Expressions of Concern about his work. The papers were eventually retracted. Jacobson’s case is, however, one of just a few cases in D.C. Superior court where the anti-SLAPP statute has been invoked. The most famous of those other cases also involved research related to climate change: In 2012, Michael Mann, a climatologist at Penn State University, sued several conservative commentators and publications for defamation. 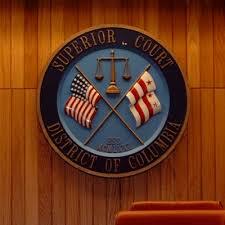 The defendants asked for the case to be dismissed under the D.C. anti-SLAPP law, but were denied in 2013. They appealed that decision to the D.C. Court of Appeals, which partially agreed with the lower court. That case and its related decisions came up repeatedly at the hearing, referenced by both sides and by the judge. The Mann case says, flatly, that criticizing ideas is not defamation. It’s not just a disagreement. [Clack’s article] is a mischaracterization of [Jacobson’s] science. The case law suggests you have to suggest misconduct. Representing NAS, Joseph Esposito, a D.C.-based attorney at Hunton & Williams, at one point told the judge that he didn’t think “a jury, instructed on the law,” would find that the Clack article was defamatory. Later, Thaler suggested to the court that the only difference between the Mann case and Jacobson’s was a matter of degree. While Mann’s critics had accused him of “misconduct,” Thaler said that the Clack article’s assertions that Jacobson had committed modeling errors were similarly damaging. The idea that the world of science is somehow exempt from defamation claims is proven false by that one case. Frustrating and not how scientific debates should be fought out. Esposito declined to comment on the hearing, citing the ongoing litigation. That lawsuit got filed almost six years ago and effectively nothing has happened in that case. Update, 15:00 UTC, 2/23/2018: Please see our update to this story. The plaintiff should have brought his suit in federal court, as the SLAPP statute is harder to invoke in federal court. This is ridiculous. If you think they misrepresented your model, PROVE IT. Publish another, or a better, article and prove that you are right. That is how empiricism is supposed to work.